With almost 5 million homes facing foreclosure in the United States, foreclosure has been a “hot” word in the Orange County real estate market over the last few years. However, many Orange County residents who are going through the process, or are being threatened with it, do not fully understand it. Also, many savvy investors are interested in scooping up foreclosed Orange County properties, but do not know where to begin. Continue reading for more information on the foreclosure process and to see if snatching up a foreclosed property might be the right choice for you. i. Must contact you and/or whoever else is on the mortgage loan, by phone or in person, to assess your financial situation and explore your options to avoid foreclosure. ii. Cannot start the foreclosure process until at least 30 days after making contact to do that assessment and explore options to avoid foreclosure. iii. Must advise you during that first contact that you have the right to request another meeting about how to avoid foreclosure. This meeting must be scheduled to take place within 14 days. iv. You may designate a HUD-certified housing counseling agency, attorney, or other advisor to talk on your behalf with the servicer or lender about ways to avoid foreclosure. You get a chance to accept or reject any loan modification or other foreclosure avoidance plan that your representative and the lender/servicer come up with during that conversation. v. After taking these steps, if no foreclosure avoidance plan has been worked out, the foreclosing entity (generally the bank) must record and serve the homeowner (and anyone else listed on the title) with a Notice of Default. vii. 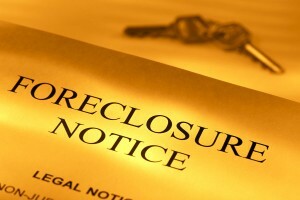 A minimum pf twenty days later, the property can be sold at a foreclosure sale. However, before the foreclosure process begins, the lender or loan servicer will probably send you two or three letters (over the course of 2-3 months) demanding payment. Those letters are not notices of default. Once your home is sold at a foreclosure auction Orange County, you will receive a 3-day written notice to quit from the new owner, who then must take you through the formal eviction process in order to get possession of the property. This process takes about 30-45 days. As you can see, the foreclosure process in Orange County is often a long, slow one that can wreak havoc on the homeowner’s credit, preventing them from buying another home for years to come. Obviously, the ideal situation is to buy an Orange County home you and your family can afford. Cheryl Marquis, an experienced Orange County real estate agent, works with her clients to ensure that they are buying a home within their budget and that they can live in for as long as they desire. For more information on short sales and foreclosures in Orange County, contact The Marquis Group today. For more Orange County real estate news and happenings, follow Cheryl on Twitter @CherylSellsOC, on Facebook at CherylSellsOrangeCounty, or on Pinterest at CherylSellsOC.